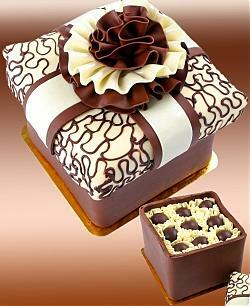 Chocolate prepares your brain for something pleasurable to happen. Isn't relationship quality supposed to just happen? Boy looks at girl, girl looks at boy, they are smitten, struggle for awhile to get together, and then perhaps with the help of the Fairy Godmother, they do get together and live in courtship bliss for ever after. Usually the end of the above process is worded, "They lived happily ever after", which is not true, because a relationship which grows in richness and deepness takes some real effort, but we are jumping ahead a bit. That model described in the first paragraph was the model I grew up with, fueled by Disney I guess, and that model is peculiar to the West. My parents did not teach me anything differently, and I knew that I did not want to replicate anything they actually did, and there were no counselors or coaches available like there are now, who had studied relationships from infatuation to death. For example, Helen Fisher's work indicates that the reason that love makes us go weak in the knees is that we are searching for someone to complement us. (I am imagining myself as a young man trying that out at the rock concert or love-in of my youth, "Will you complement me?" As a kid I and my buddies spent quit a bit of time working on ways to get women to notice us, since we had no idea how to just build a friendship. Prince Charming never had work on relationship quality, did he)? These days relationship quality is coming under the microscopic eye of researchers like Robert Epstein,Ph.D., Helen Fisher,Ph.D. and John Gottman,Ph.D. to name three that I am familiar with. I have used Gottman's work in my domestic violence psychoeducation/counseling program for several years because it has hands on exercises to do that help the men in my program to understand that there are ways to foster connection nonviolently, ways to communicate respectfully, and so on. I discovered Dr. Fisher's work last year, and am still curious about her attempts to quantify and explain the process of falling in love by brain, because that process can change the course of many lives in as little time as 1/18th second. (That is about twice as fast as you can blink your eyes, by the way). However, a very recent article by Robert Epstein,Ph.D. in Scientific American Mind describing progress in relationship science really brought out for me how my relationships are still measured against that Cinderella/Prince Charming yardstick, even it its in the background of my counseling expertise. Epstein says that relationship and marriage is something that we can grow, cultivate, and work on by engaging in relationship exercises, like soul gazing. He says that marriages in India for example, where parents and marriage brokers arrange marriages and they have never heard of Cinderella or the Fairy Godmother, are successful 95% of the time, where our first, second, and third marriages break apart 50% of the time. He says that we should study what they do, and duplicate it to enhance relationship quality. John Gottman,Ph.D. says something very similar about his Masters of Marriage, that they capable of minimizing the four horseman of the marriage apocalypse, contempt, stonewalling, criticism, and defensiveness, and Epstein says that relationship quality if enhanced by engaging in behaviors which are based on the four pillars of marriage success, Commitment, Realistic Expectations, Intimate Knowledge, and Essential Relationship Skills. Helen Fisher, Ph.D. says that we should engage in behaviors which impact our brains, generating androgen, oxytocin, and dopamine, which she says are part of our three reward systems designed to ensure mating. When both people build that kind of chemistry, the earth does move. (What role does dark chocolate play in your chemistry? It prepares you for something pleasurable to happen). So my first recommendation for relationship quality is to have some dark chocolate, do something risky with your partner, like clean a kids room, look deeply into each others eyes, get some skin contact, and remember your last weekend away from the kids. Or if you are looking forward to starting a new relationship, have your dark chocolate, then take the Helen Fisher quiz at and cut some of the guess work out of the chemistry process. After all, Valentines Day is coming, which is probably the slowest day of the year for the marriage brokers. Just in case you already have a rich deep relationship and want to work on Epstein's pillars from a heart place or a place of heart rate variability coherence, then click on the Heartmath link below. Imagine the quality of your relationship when you and your mate are on the same heart beat, and then do the exercises that Gottman or Epstein prescribe for deep rich relationship quality.